The six-story Holland Hotel had its grand opening on June 17, 1910, timed with the opening of the Soo Line Passenger Depot one block east of the hotel, which essentially brought out-of-town visitors to the hotel’s front door. 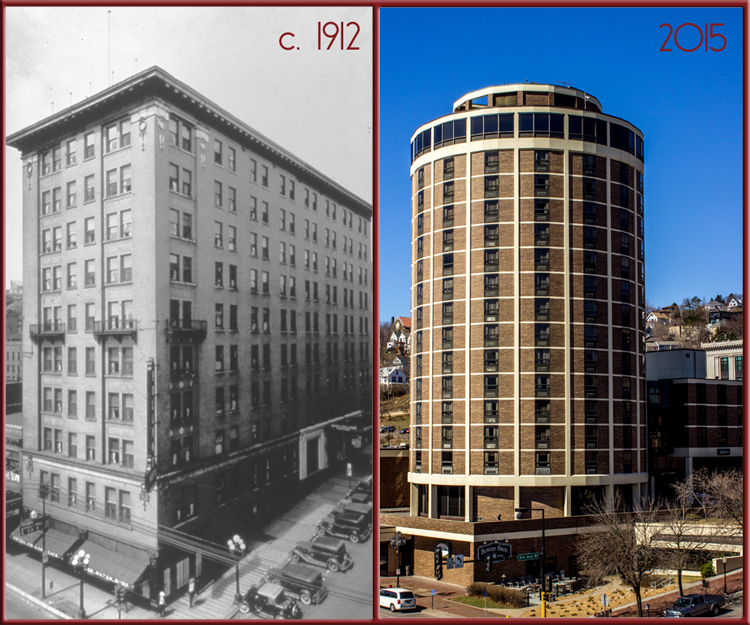 The hotel was such a success that just a year later its owners added four more stories to the building. Built of red brick, the Holland offered 250 rooms by the time the top four floors were added. 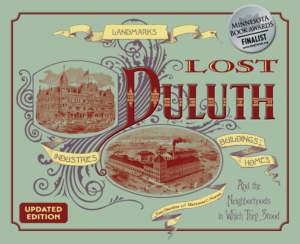 When it opened, the Holland advertised itself as “the first fireproof hotel in Duluth.” As with most other hotels at the time, not each room was furnished with its own bathroom; guests using rooms without a bathroom had access to communal bathrooms on each floor (150 of the Holland’s rooms had their own baths). And like others of its time, it offered rates on both the “European Plan” and the “American Plan.” On the European Plan, the guest was charged for just the room, while the American Plan included meals. Travelers preferred the European plan. The Holland also followed the lead of the nearby St. Louis and Spalding Hotels, offering upscale amenities such as an extravagant lobby, a large dining room whose walls featured wood-paneled wainscoting below fresco murals depicting Lake Superior scenes , and of course a cocktail lounge, which appears to have been remodeled in an Art Deco motif sometime before 1926. And sadly, like almost every other hotel in the neighborhood, by the 1950s the Holland House saw a dramatic decline in popularity; it closed in 1961. It was then demolished as part of the Gateway Urban Renewal Project. Duluth’s Radisson Hotel was built on the Holland House lot in 1970.